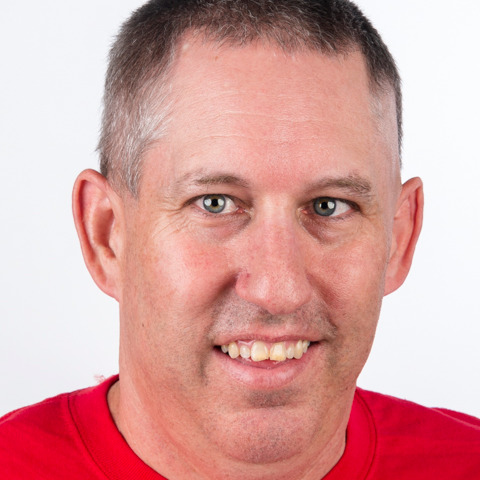 Chris Raupp joined Special Olympics in 1990. He has participated in soccer, basketball, tennis and golf. At the 2006 Special Olympics USA Games in Iowa, Chris won silver in tennis singles and gold in mixed doubles. At 2018 USA Games, he took home gold in traditional doubles and silver in Level 5 singles – now he’s looking forward to earning gold on his first world stage. “Special Olympics has given me a chance to compete and do the best I can do,” he said. “It has given me the chance to be part of teams and make new friends.” Beside tennis, Chris loves playing and watching sports of any kind. He also was just named an Aramark Ring of Star winner, making him one of only 200 Aramark employees to earn this worldwide recognition in 2018.